A university statistician believes she has found patterns of anomalies in the elections in Kansas. She suspects electronic voter fraud and has requested to review the vote machine’s paper tape (record). Beth Clarkson, of Wichita State’s National Institute for Aviation Research has sued the state of Kansas for the opportunity to review the voter tape of Sedgwick County to ensure that it is consistent with the election results from the last several elections. The voter tape records every key stroke that voters make on the machines. If they are inconsistent with the reported election results, it would point to electronic voter fraud and vote manipulation. Oddly Kansas Secretary of State Kris Kobach, self-proclaimed as being tough on voter fraud, has asked the Judge to deny her request. The same Kris Kobach who was so intent on ending voter fraud he pushed for legislation giving him the power to prosecute voter fraud and says he will begin to do so sometime this month (September), is now asking a Judge to stop an independent investigation into suspected voter fraud. Clarkson is also asserting that this pattern is seen not just in Kansas, but throughout the nation. Unfortunately, not every electronic voting machine has a voter tape record. Many actually have no paper trail at all. Electronic Voter Fraud is primarily viewed as manipulating the software, the results, or interfering with the voting machines. It is also reasonable to include election officials who certify results from elections when there is evidence of machine malfunctions. This article from 2011 discusses the prevalence of malfunction reports and considers the possibility that it is intentionally ignored. In 2012 a video was uploaded of a machine changing a person’s vote from Barack Obama to Mitt Romney. In 2014 several Republican voters reported the machines changed their vote to the Democratic candidate, even after several attempts to correct it. A malfunction of electronic voting equipment left 5,207 votes out in Saline County. In 2007 the machine collecting votes from 5,729 touch screens froze and stopped counting votes several times. The races were so close that a recount was ordered. Then it was discovered that the internal printer’s for the voter tape recording the key strokes had jammed leaving no paper trail. In 2014 in Mineral Country one machine used in early voting did not record the 178 votes cast on it. A 2008 documentary ‘Stealing America: Vote by Vote‘ shines a light on a decades worth of problems with electronic voting machines. Roger Johnston head of the Vulnerability Assessment Team at Argonne National Laboratory, and his colleague successfully hacked electronic voting machines with $30 worth of gadgets from Radio Shack and basic computer skills. 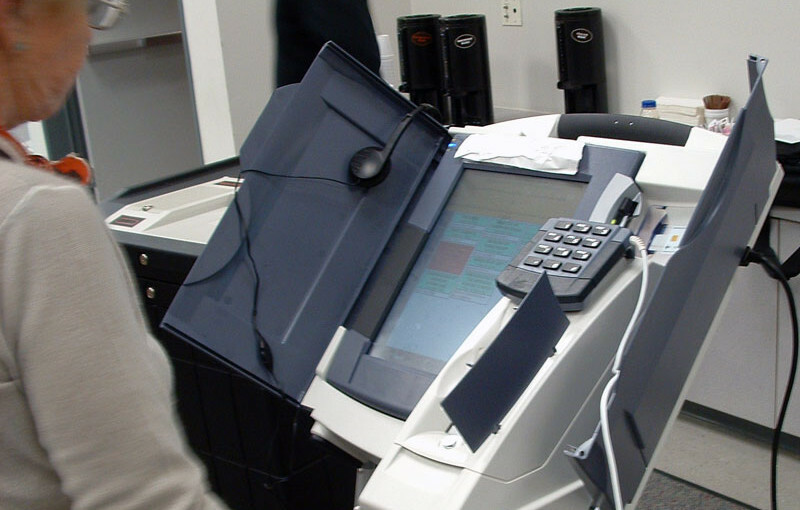 A 2015 report from the Virginia Information Technologies Agency, who completed a security analysis of the WINVote machines, recommended discontinuing use because of lack of security. In 2007 cyber experts reported a multitude of security flaws and described the multitude of ways that the Sequoia Voting System could be hacked. Given these facts, it seems unreasonable for anyone to want to keep a well respected statistician with a Doctorate degree from investigating the possibility of rigged or manipulated electronic votes. Voters have a right to be concerned that their vote is being counted and counted correctly. It also bring other questions to mind: Should we be using electronic voting machines? Can we find a way to make the process more secure? Ensuring all machines have voter tape to verify would likely help, but what does the voter tape record when the machine doesn’t read the key stroke correctly (like in the video above)? Previous Previous post: Guilty Verdict in Alabama Voter Fraud Case. What Happened?